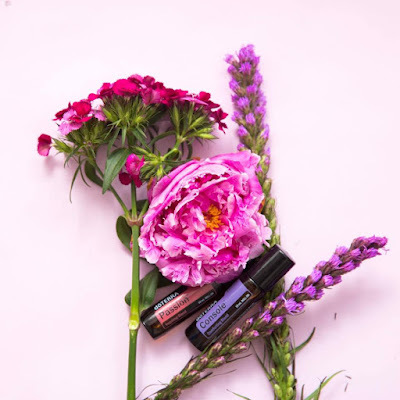 This is a guest post from doTERRA essential oil leader Anita Whittingham from Anita Whittingham Healthy Habits. Anita is a mum, a high school maths teacher, mindset coach, fit foodie, and essential oils wellness advocate. She is passionate about health and wellness and personal development. 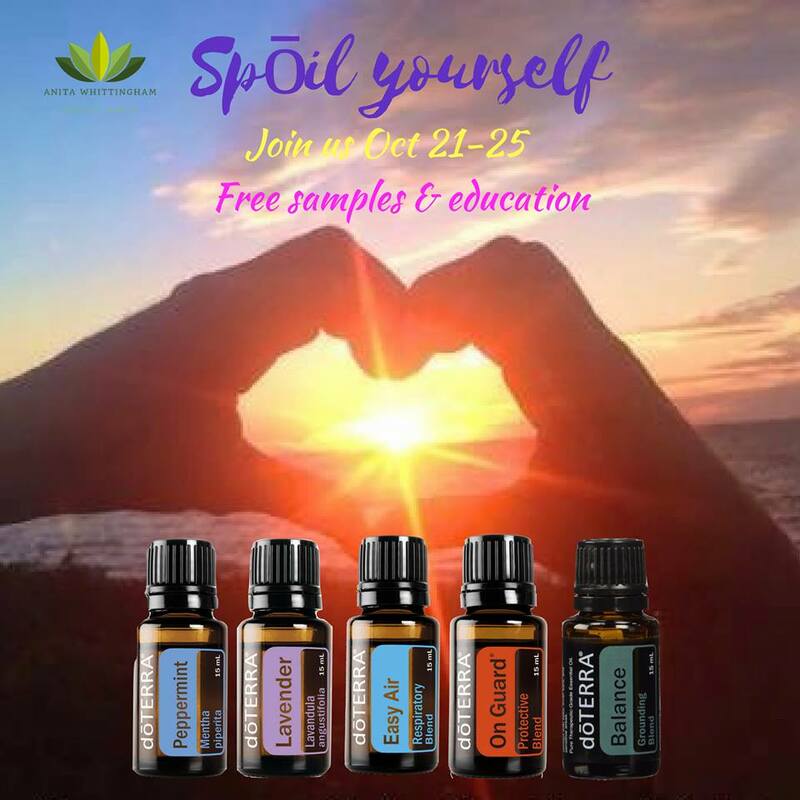 In this post she shares her journey into the world of essential oils and will help you to feel more empowered with plant medicine for any mood and ailment. To find out more about Anita or Essential Oils you can follow her on Instagram or Facebook or visit her website. Anita is also doing a free SpOil yourself event starting Saturday 21st October. You can register on this link. More details at the bottom of the page. I love essential oils. I have been using them for over a year now and my whole life has changed. I have become the natural healer in our home and essential oils are our first go-to whenever any health issue arises. We also use essential oils to make our own cleaning products and self care products. They have infused our lives with so much love, energy and happiness. I started using essential oils in May 2016 when my daughter Bella was 8 months old and got her first cold. A friend gave me a blend of oils called EasyAir and within 24 hours of diffusing it and applying it diluted to the bottom of Bella’s feet, her breathing had improved heaps. I then got a Home Essentials kit, incorporated the oils into my daily life and started sharing my experiences. My journey into the world of cutting out toxins began during our 4 yr struggle with unexplained infertility. I learned about all the different toxins such as phthalates in our cleaning products and personal care products that were wreaking havoc on our hormones. This is when I first started making small changes. Then when essential oils came along I did a happy dance. I was so impressed with how versatile these little bottles of plant magic were and how only 1 drop was needed to see a result. As a breastfeeding mum when I got a cold last year in April I was hesitant to use cold and flu med’s from the chemist as some can mess up milk supply. I bought some of the meds anyway. The ones that say they are OK for breastfeeding. But they didn’t work. The cold turned into sinusitis. It was the most horrible pain. Since then when I’ve got a cold (and that’s the worst thing I’ve got since using essential oils) I now just use a combination of immune supporting oils and they are effective at combating it. So how do essential oils work? And what are essential oils? Essential oils are volatile aromatic compounds from plants. I like to think of them as the plant’s immune system. They protect the plant from disease and pests. Essential oils are extracted from plants through either distillation or the rinds of citrus fruit are cold pressed. Depending on the plant, the essential oils may come from the root, leaves, flowers, resin or bark. Being lipid soluble and coming from nature they are able to cross our cell membranes to get inside our cells and work their magic on viruses inside the cell and bacteria outside the cell. Whereas anti-biotics can NOT get inside our cells which is why they are not effective against viruses. Straight out of high school I did a Science degree so I am loving learning about how essential oils work in the body. It’s absolutely incredible. I love how our bodies have a natural ability to heal itself. I don’t ever claim that essential oils cure, treat or prevent any disease. They simply support our bodies to return to a healthy state. 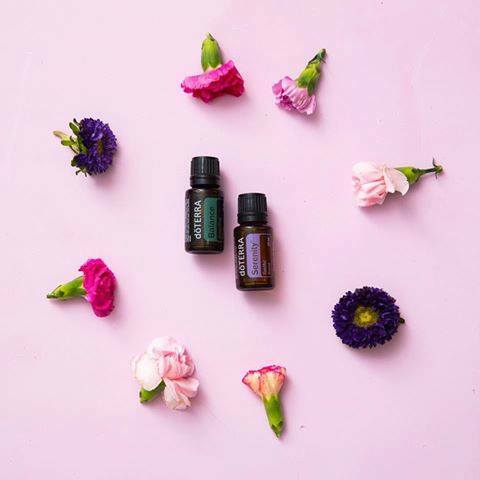 Aromatically – in a diffuser, on your pillow case, sprayed in the room, inhaled from a drop in your hands or just simply smelt out of the bottle. Topically – placed on pulse points, soles of your feet, as an aromatic dressing all over your body whilst saying positive affirmations or rubbed into muscles, joints or affected body parts. Peppermint: This essential oil is so versatile. If I get a headache I rub a drop of peppermint on my temples then wipe my hands across the back of my neck. It’s cooling sensation makes my neck tingle then dissolves any head tension. I haven’t used panadol in over a year. Peppermint is also great for an instant energy boost. Think 3pm slump….. For me that’s when Bella is having her afternoon nap. So instead of laying down for a nap with her after boobing her to sleep, I get up, inhale some peppermint from my hands then smash out a quick workout. Peppermint is so invigorating and opens up my airways. It’s awesome! It’s also great for nausea and supporting digestion. Plus it’s ah-mazing in raw treats and smoothies. Hello choc-mint!!! Yes please. Lavender: Lavender soothes and calms. It is the swiss army knife of oils. It can soothe and calm the mind so it’s great for sleep support, stress & anxious feelings. And its great to soothe and calm the skin so its perfect for any cuts and scratches, bites, stings and burns. We mix it with Peppermint, fractionated coconut oil and water for an instant sunburn relief spray. We put a few drops in the bath tub with coconut oil to help us wind down and prepare for sleep. I also like adding a drop to our pillows to support a restful nights sleep and I like to diffuse it with Frankincense at night time too. Lavender’s subtle floral scent is relaxing and makes us feel safe and secure. EasyAir: This is the respiratory blend. It is a proprietary blend of Laurel Leaf, Peppermint, Eucalyptus, Melaleuca (Tea Tree), Lemon and Ravensara. It can be used aromatically in a diffuser or diluted with coconut oil and applied topically to the chest, back or the bottoms of your feet. While it can be used any time of the day, it is commonly used for nighttime diffusion and may assist with a more restful and calming sleep. This is the first doTERRA essential oil I was introduced to so has a special place in our home. We go through this blend a lot. Especially when Bella comes home from childcare with a snotty face. OnGuard: This is also called the protective blend. It is a powerful proprietary blend of Wild Orange Peel, Clove Bud, Cinnamon Leaf, Cinnamon Bark, Eucalyptus Leaf, and Rosemary Leaf/Flower essential oils that supports healthy immune function* and contains cleansing properties. We like to diffuse OnGuard to kill airborne pathogens especially if one of us is coughing. I also use it as a hand sanitiser and spray Bella’s hands when I pick her up from childcare. I’ve made some delicious bliss balls with OnGuard and sometimes add to popcorn with Pepe Saya cultured butter. We apply OnGuard topically to our feet after a bath to boost our immunity and protect us against environmental and seasonal threats. I also make an ‘immune bomb’ by combining OnGuard with Frankincense, Tea Tree, Lemon and Oregano. At the first sign of a cold I make this Immune Bomb in a veggie capsule and take it internally and I also make the Immune Bomb into a roller bottle with fractionated coconut oil and appy it topically down our spines and across the back of our necks. I also gargle with water and a drop of OnGuard at the first sign of a sore throat to nip it in the bud. doTERRA have used this OnGuard blend to create a range of natural products that we use including toothpaste, laundry liquid, throat drops, beadlets and cleaner concentrate. Balance: Also called the grounding blend. This is a beautiful blend of oils from trees with deep roots that promotes tranquillity while bringing harmony to the mind and body, and balance to the emotions. I call it the ‘big emotions’ blend. When Bella started childcare earlier this year I applied balance down her spine before drop off to help her process her emotions and ease into this transition. It also gets whipped out in the afternoon if she is having a tough time. Balance is a great oil to diffuse too. Especially for car trips, shopping with kids, family get togethers and other stressful situations. Lots of my mama friends wear it on their wrists as their ‘purefume’. Since discovering that most synthetic perfumes contain pthalates (endocrine disrupting chemicals), I ditched all my department store perfumes and just use essential oils instead. I get daily compliments about how great I smell but that is just a secondary benefit of using essential oils. So how can you get these oils into your life? Join Anita’s upcoming SpOil yourself event where you will get to try these 5 oils for free. Hurry, limited spaces available and conditions apply. More info here.